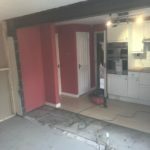 This large project took a couple of weeks to complete. 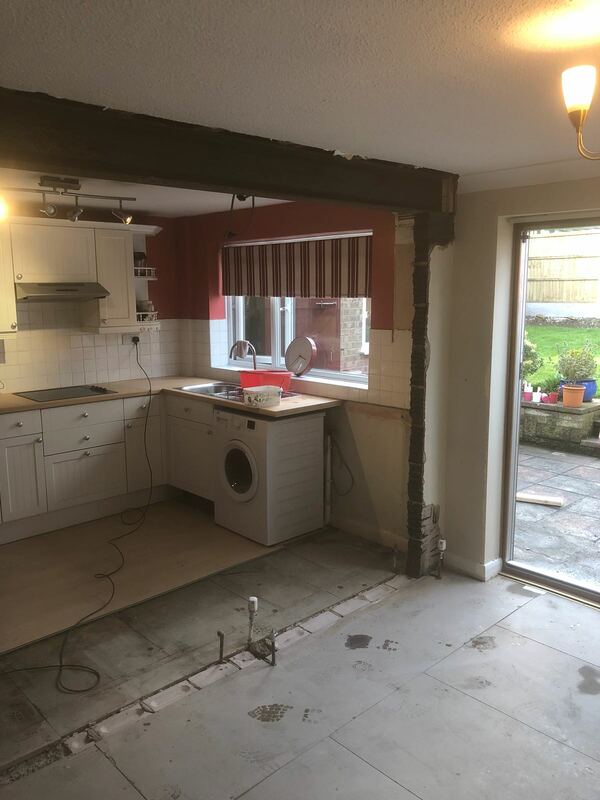 The client booked us to make property alterations and to extend his kitchen diner for his family. 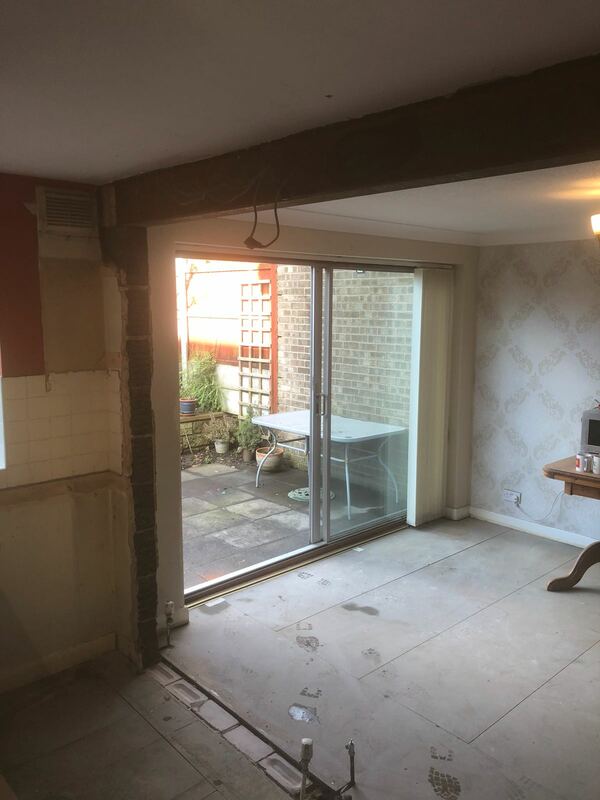 They originally had a long lounge diner but wanted a party wall putting up half way to make the lounge a separate room. 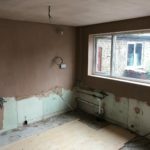 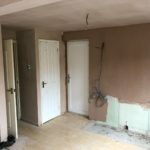 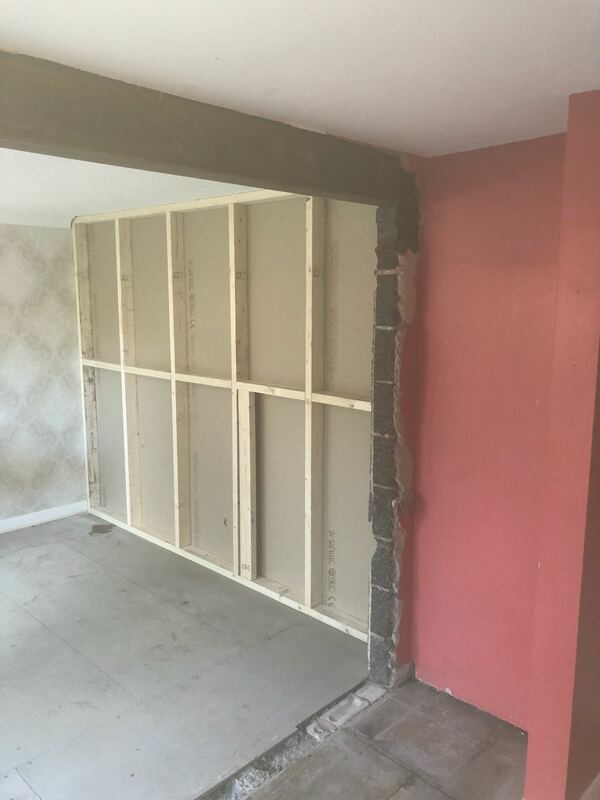 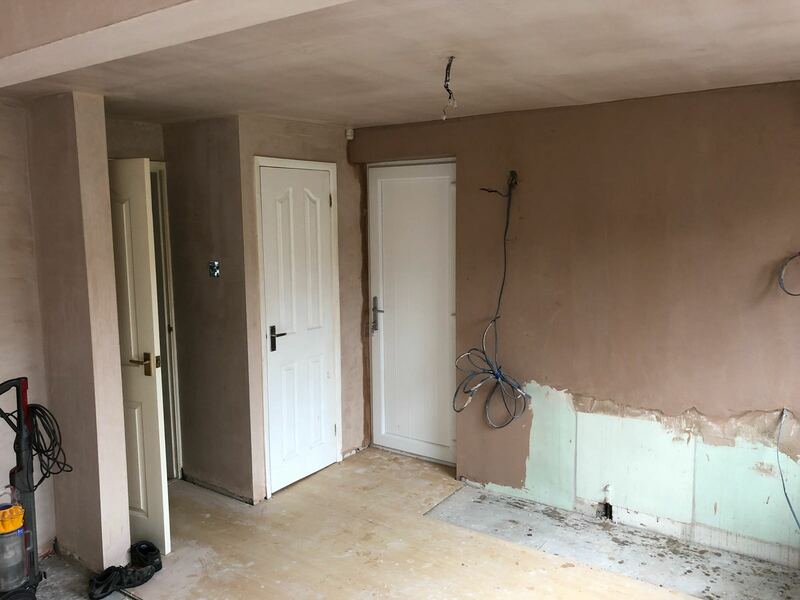 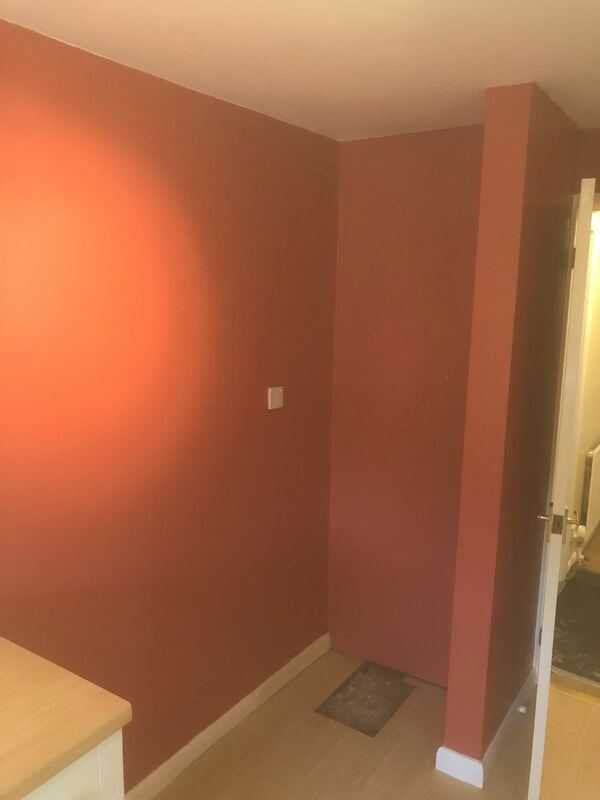 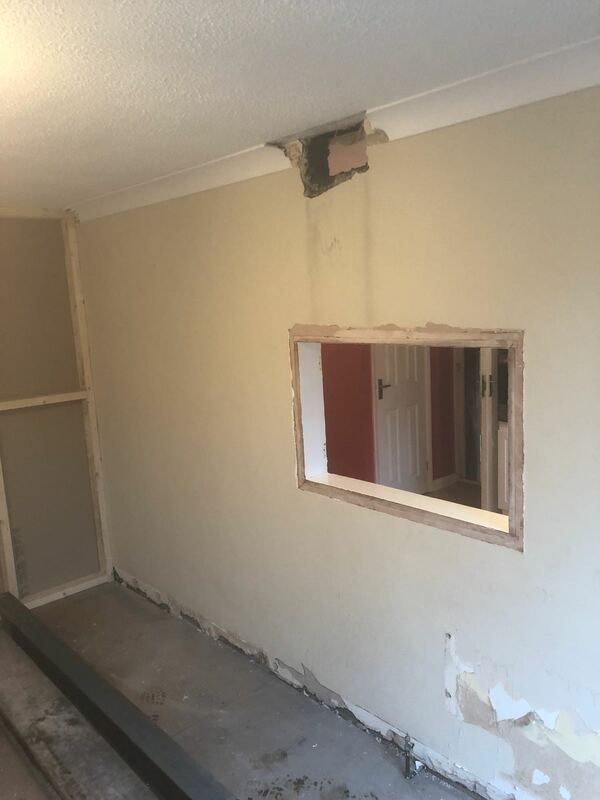 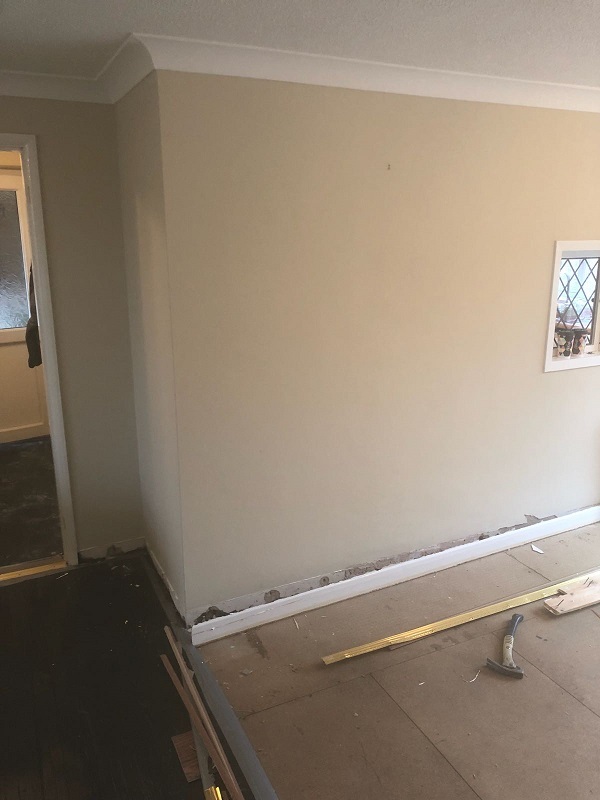 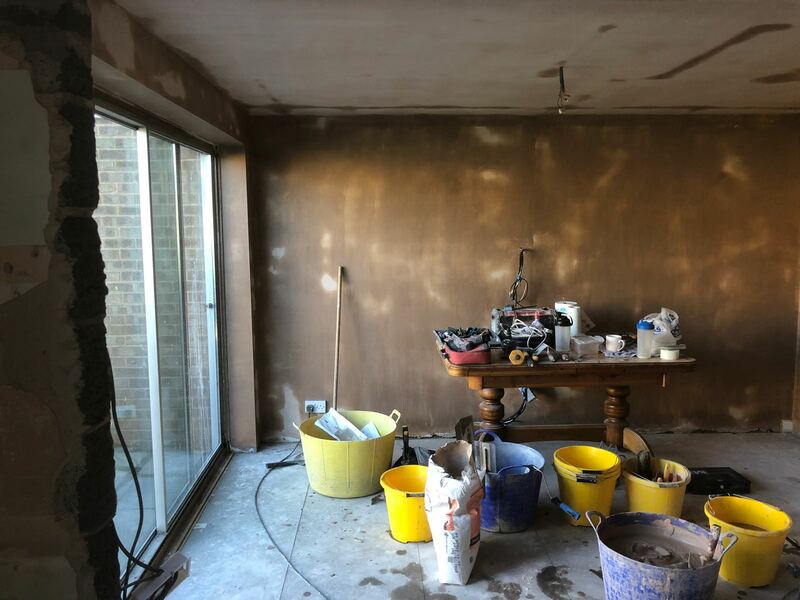 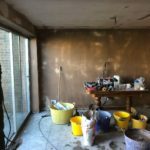 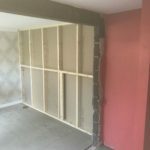 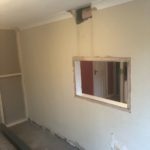 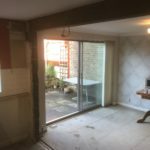 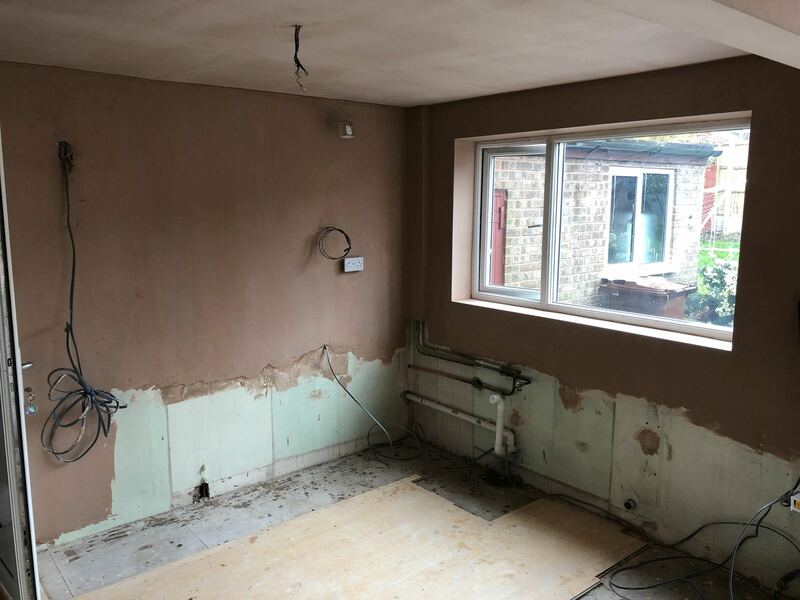 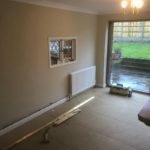 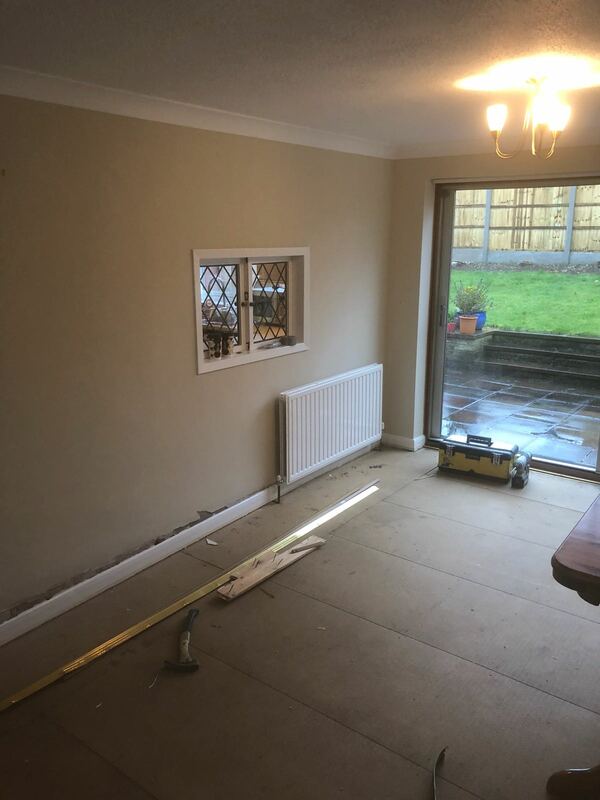 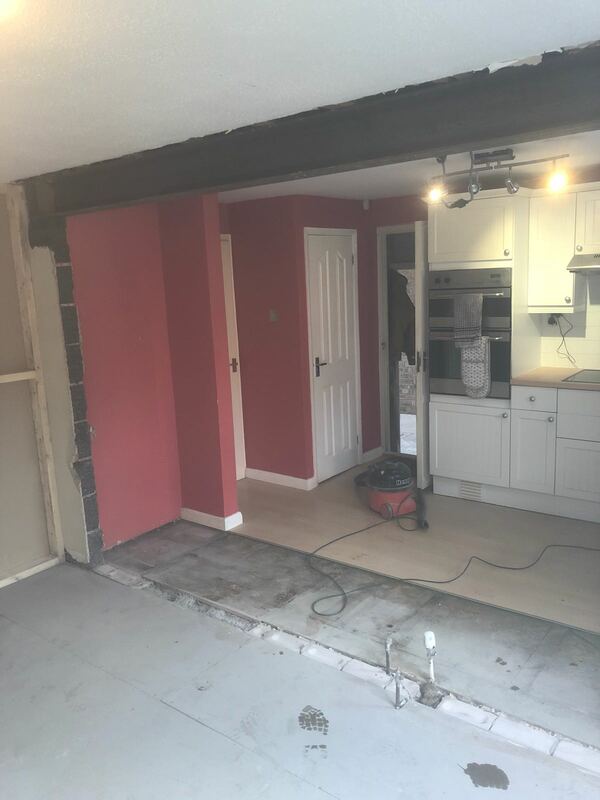 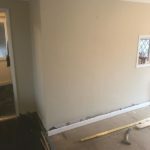 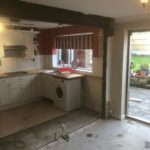 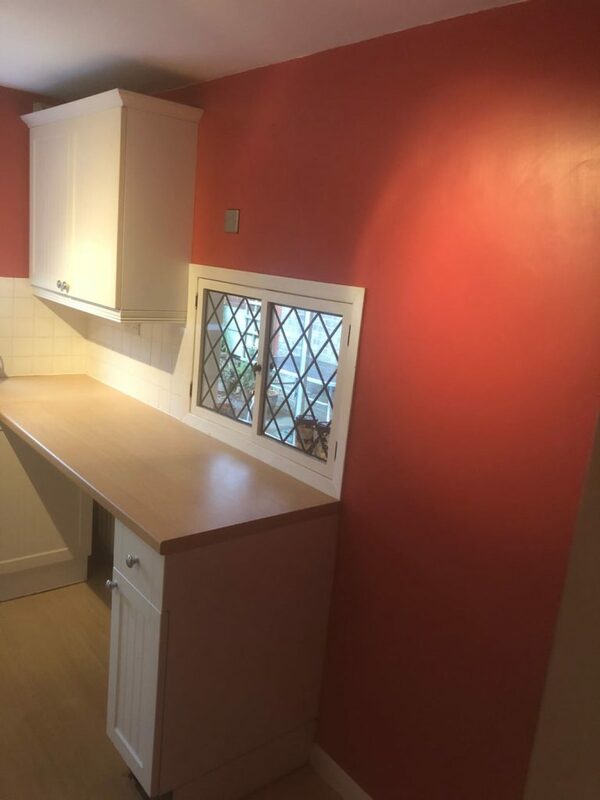 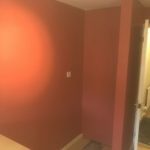 Following this, the party wall that was up between the kitchen and the dining room was removed, a new steel RSJ fitting then full re plaster to make a larger kitchen diner. 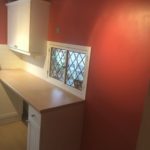 For a free estimate contact us on 07788 792 176 or send a message online via my Contact Form.